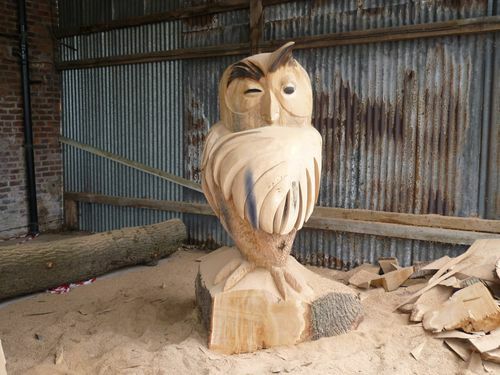 This large owl was sculpted with chainsaws from a log of oak. It stands over six feet tall. The owl has been left untreated so that it will turn silver grey as the oak dries out over the next twelve months.